These are separate mailboxes you can open to view specific email account information including trash, sent, spam, drafts, and more for the same email account. However, most of us prefer to manage all of our Mac Mail eMail accounts under the default Mac Mail Inbox, Sent, Junk, and Trash folders. These “extra” mail folders will make the Mac mail client perform slow and store duplicate emails in subsequent mail folders. These extra mailboxes you see in Mac X are called labels and they are managed in your email hosting provider’s settings. 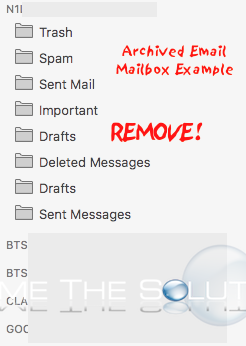 The steps to remove the labels vary for each provider, but we will show you how to remove an example GMAIL label mailbox that shows up in Mac Mail. Login to GMAIL through your web browser on a computer. 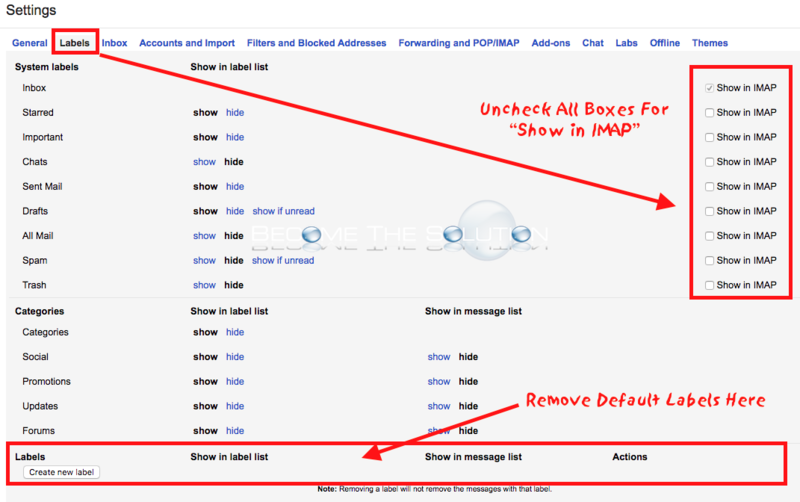 Navigate to Labels tab and uncheck any labels under System labels in Show in IMAP. In addition, remove any Labels at the bottom of the screen that are setup by default when you create a GMAIL address. Quit and re-open Mac Mail. 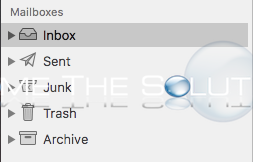 You should no longer see the additional mailbox labels appear in Mac Mail. Note: Some iOS mail apps require System labels to be enabled when you add an IMAP account. You may receive an error message. See our article here.